I read this article and found it very interesting, thought it might be something for you. The article is called In Election Year, Bihar Faces Financial Shock and is located at https://archive.indiaspend.com/cover-story/in-election-year-bihar-faces-financial-shock-90940. 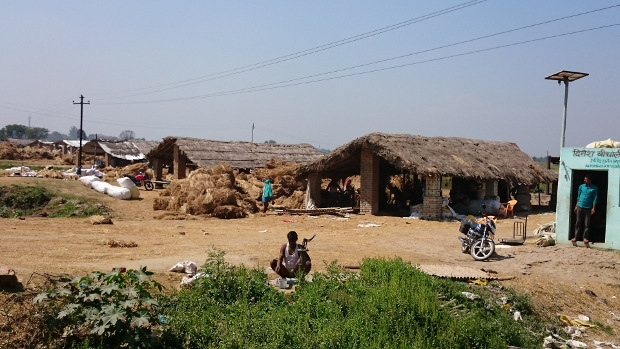 Bihar, India’s third-most-populous state and one of its poorest, faces financial shock in an election year–with a 42% decline in aid from Delhi and a doubling of debt. That has not stopped Bihar – a state of 104 million people and an average annual per capita (current) income of Rs 33,954 ($565), a little higher than that of Central African Republic ($547), from presenting a populist budget with no new or increased taxes, ahead of assembly elections scheduled for the end of 2015. With more than half of its revenues coming from Delhi, it follows that Bihar will borrow more money to make up its deficits: Public debt is expected to nearly double to Rs 17,708 crore, from Rs 9,046 crore in 2012-13. Here’s how Bihar will lose money that it once got from the Centre. Before financial decentralisation, Bihar last year received the second-highest share of union taxes at 10.9%. After the recommendations of the 14th Finance Commission, Bihar’s share is still the second-highest, but the share is down to 9.7% because of a change in how the money is distributed. The scrapping of a central programme, the Backward Regions Grant Fund (BRGF), to help backward areas, and other grants, is expected to see money from Delhi decline by 42% to Rs 18,170 crore in 2015-16. The centre cut direct funding to states but increased their share of federal taxes from 32% to 42%, as we previously reported. Bihar’s top three sources of revenue indicate its dependence on Delhi. 56% of the state’s revenue comes from Delhi–its share of central taxes (41%) and central grants (15%). Only 25% comes from its own taxes. In contrast, 48% of Odisha’s revenues come from Delhi, 43% for Rajasthan and 46% for Madhya Pradesh–all poor states. Revenue receipts, which includes share of central taxes like excise and service tax and state taxes like sales tax and property tax, have increased 73% since 2012-13. Bihar’s tax revenues are estimated to grow by 20%, from Rs 25,662.9 crore in 2014-15 to Rs 30,875 crore in 2015-16. Through the BRGF, Delhi paid many bills in 36 of 38 Bihar districts. This is money that Patna will now have to replace. Although Bihar presented a revenue surplus budget for 2015-16, the state reduced the money it spent on running itself. The Bihar government has seen a 75% rise in total receipts, from Rs 69,145 crore in 2012-13 to Rs 120,914 crore in 2015-16. Expenditure rose 74% from Rs 69,206 crore in 2012-13 to Rs 120,685 crore over the same time period. Revenue expenditure is likely to come down to Rs 91,208.1 crore from Rs 91,765.4 crore (revised estimate of 2014-15). Bihar has produced a surplus revenue budget largely by reducing spending on social services from Rs 43,620 crore budgeted for 2014-15 to Rs 38,080 crore in 2015-16. The government is expecting to end the financial year 2015-16 with a revenue surplus of Rs 11,980.95 crore. The government will be spending Rs 10,950 crore, or 19% of the annual plan outlay, on education in 2015-16. The state has a literacy rate of 63.8%, against the national average of 74%. Bihar also has poor health indicators. The infant mortality rate, an estimate of infant deaths for every 1,000 live births, is 42 against the national average of 40. The maternal mortality ratio, women aged 15-49 who die for every 100,000 live births, is 208 in Bihar, against the national average of 167. * Rs 368 crore to fund the Chief Minister’s student’s cycle scheme. Each student will get Rs 2,500 to purchase a cycle. * Rs 171 crore for a nutrition programme for school girls. * Rs 220 crore for a scholarship scheme for students from class 1 to class 10. * Rs 1,231 crore for the rural jobs programme, the Mahatma Gandhi National Rural Employment Guarantee Act. * Rs 1,708 crore to build houses under Indira Awas Yojana. * Rs 482 crore to self-help groups. With the central government now proposing to fund only capital expenditure, for programmes such as the Sarva Shiksha Abhiyan, or scheme for universal education, Bihar will have to find money to run these programmes.